When most people think of Florida, Walt Disney World is often one of the first things that come straight to mind. For us, it was the focus of the third part of our holiday. 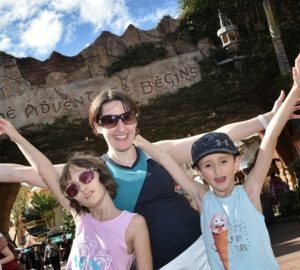 Part one of our Orlando holiday had focused solely on Universal Orlando’s theme parks. Part 2 had involved lots of water fun, including swimming with dolphins. Now it was time for Walt Disney World. 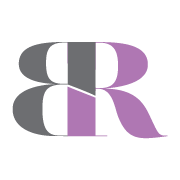 A resort so big, it wouldn’t surprise me if it tried to become its own country. 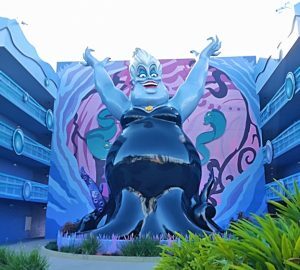 Our third and final hotel was Disney’s Art of Animation resort. It’s one of their budget hotels, but is bright and colourful so ideal for younger children. 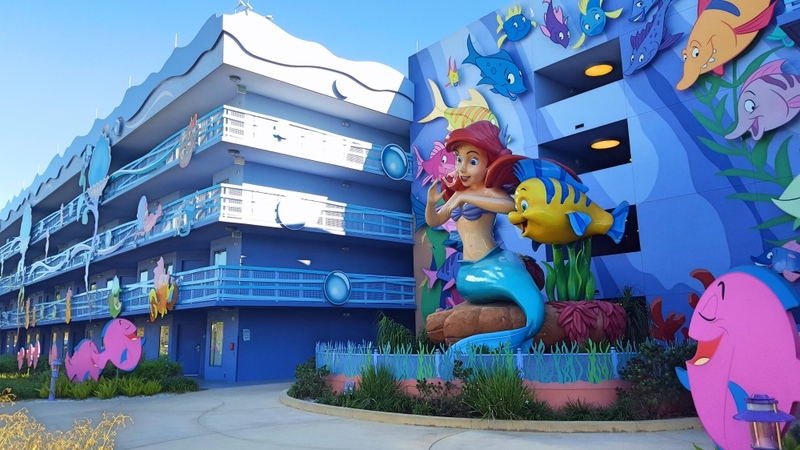 The hotel has four differently themed sections: Finding Nemo, Cars, the Lion King and the Little Mermaid. 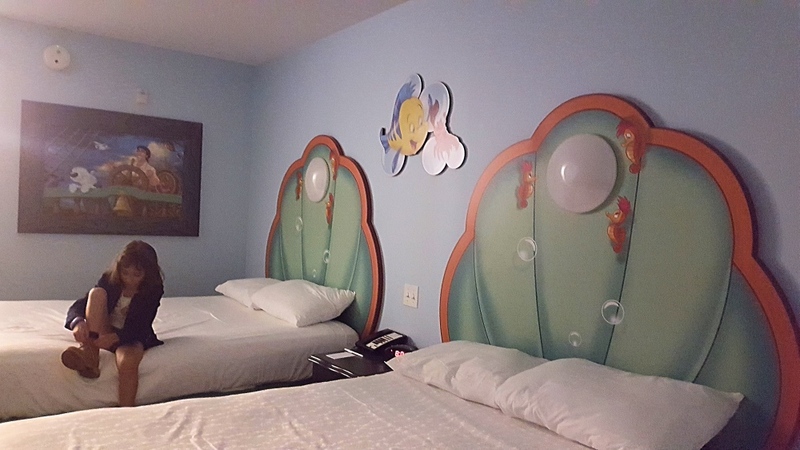 Our room was in the King Tritan block because we’d booked a Little Mermaid room. Our room was clean, if a little small and more than a little basic. For example, there were no chest of drawers and only one small rail to hang up clothes. It was adequate for our needs though because we were only using it as a base to sleep. For this part of the holiday, we knew exactly which Walt Disney World parks we’d be visiting on which day. We had mapped it out beforehand because of a perk that Disney gives all of its visitors – the Disney Fastpass service. What this service allows you to do is to skip the ride queues at any of the Walt Disney World theme parks. 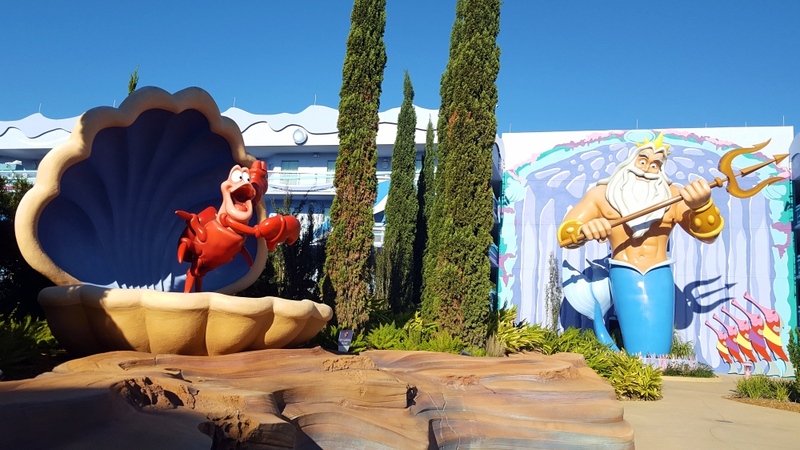 You’re allowed to book 3 of them in advance – 30 days ahead if you are merely visiting the parks, 60 days ahead if you are staying onsite at a Disney hotel – and once you’ve done those, you can try booking more using the designated kiosks dotted around the parks. I would really recommend takin advantage of this service. Even in February, some of the waiting times for rides was up to 70 minutes or more! You can see what we got up to in my video. 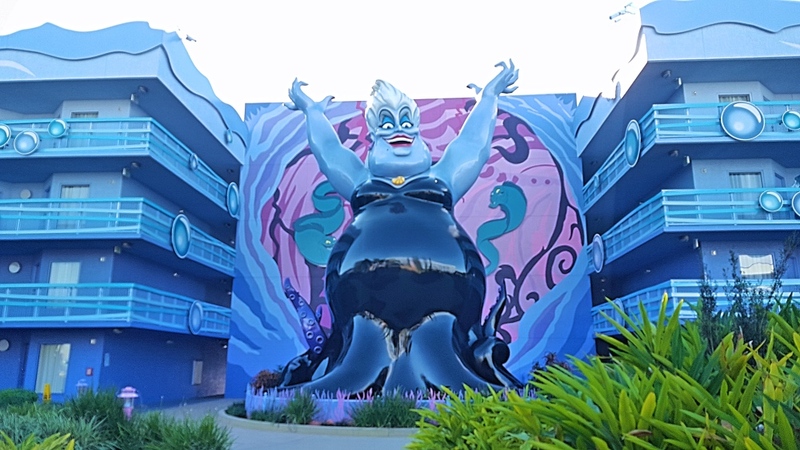 What with checking out of Lake Buena Vista Village Resort & Spa and checking into Disney’s Art of Animation hotel, we knew we wouldn’t get a full day at one of the four Walt Disney World parks (not including the water parks or Disney Springs). Epcot is fast becoming our favourite Walt Disney World park.